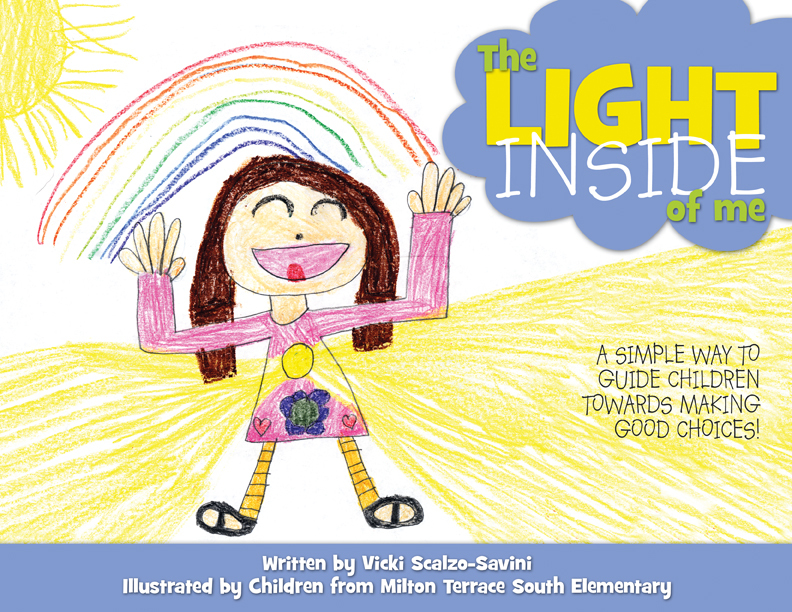 The Light Inside of Me is a heart warming book that teaches children to listen to their inner voice to make good choices. This book enables adults to responsibly guide children to honor their own feelings, and recognize the feelings of others as well. A simple concept with a HUGE impact on emotional wellness and self esteem! Currently Out of Stock. Sign Up here to be alerted when the book becomes available again. 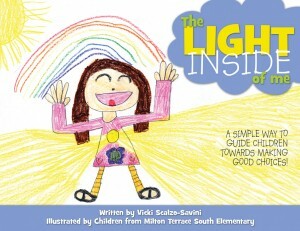 Hi Everyone, I just wanted to say Thank You to Vicki Savini for sharing her book, “The Light Inside of Me” with me. Over the past couple of weeks, I have read the book with my students and completed a follow-up activity that has facilitated some great discussion about making good choices and being kind to others. My students have discussed and written in detail about times when their light has been bright (and dim) and we have discussed empathy and emphasized the importance of being kind to others. All of my K-5 students have enjoyed Vicki’s book. They are in awe that a teacher from their school has had a book published, and that some of their classmates were the illustrators of the book! The message of Vicki’s book has helped to keep some behaviors in check, particularly with the heightened energy and excitement of this holiday time. I encourage you to check it out.